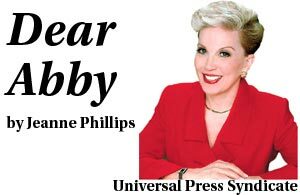 Salvation And Survival: This Is Not Your Mother's "Dear Abby"
This Is Not Your Mother's "Dear Abby"
DEAR ABBY: My daughter has been in a lesbian relationship for 14 years. They recently took me to lunch and informed me that her partner, "Nicole," is in the process of transitioning to a male. Nicole has now legally changed her name to "Nick" and has begun hormone treatments. They have been going to counseling for the past six months. Since Nick began the transition, I have seen him three times. Last week when I was visiting, I accidentally called Nick by the wrong pronoun, "she" instead of "he" a couple of times. I was either immediately corrected or ignored until I realized I had used the wrong word. It hurt my feelings. After I got home I sent Nick a text to apologize and explain that it would take time for me to get used to saying "Nick" and referring to him as a he. I told them their correcting me bothered me. All weekend I could tell they were irritated with me, and I felt it was uncalled for. DEAR MARGARET: Adjusting to gender reassignment takes time for all concerned. As your letter illustrates, there are often more people involved than the individual making the change. It seems only natural that you would need some time to adjust. However, it also seems to me that you are being overly sensitive about what happened. Your daughter and her partner were right to correct you for your slip of the tongue, and it wasn't rude for them to do so. How else is a person to learn that a mistake was made if it isn't pointed out? What must our Holy God be thinking about the state of the world He created? It is not my purpose in this post to discuss the legality or acceptability of homosexuality or transgenderism. As a Christian, my thoughts on these subjects will not conform to man's laws or the admissible conventions of society. Rather, it is to cast a light on the utter confusion in which mankind finds itself. It is obvious in this "Dear Abby" letter that Nicole, or Nick, is confused about who she/he really is meant to be. The daughter has to be confused about what her role is in the relationship. And, it's only natural that the mother is confused about the whole situation. But do we stop to think why there is all this confusion? All I kept thinking as I read the letter, was that, in His Sovereignty, I think God just might be judging us by confusing us. All kinds of Scripture kept coming to mind ... So I gave them up to the stubbornness of their heart, To walk in [the path of] their own counsel (Psalm 81:12); Since they thought it foolish to acknowledge God, he abandoned them to their foolish thinking and let them do things that should never be done (Romans 1:28); But your wickedness has separated you from your God, And your sins have hidden His face from you so that He does not hear (Isaiah 59:2). In this age of "Reason", we try to explain away our sins with rational thought, instead of seeing how we are being deceived by Satan's lies. We think we are so enlightened that we try to deny our own sexuality (or insert your personal sin) in which God created us. We can change our physicality in regards to how we see ourselves or the world sees us, but we can never change it in God's eyes. Our rebellion leads to our confusion, and a desire to worship a god of our own making in order to perpetuate our sins. But here is the deal... I believe that God is Truth; and because He is Truth, He will not let us despise Him or His truth without judging us in kind. When we choose to disregard Him and disobey Him, He will perplex and confound our understanding, giving us up to our own desires and pleasures --- which will never satisfy or fulfill us. And that is what is so ultimately sad to me about this "Dear Abby" column. That no one in the whole scenario -- not the lesbian couple, not the mother; not even Abby, herself -- sees the state of confusion that exists. They, like so many of the billions of people in the world who are involved in pagan religions that worship ancestors, cows, a crescent moon, totem poles, man, nature, etc, are blinded because they have rejected the opportunity to know the Truth and to have a relationship with the One True God who created them. Our desire to live our lives as we see fit, or in whatever manner gives us pleasure, will only lead to uncertainty in this life, and disorder and turmoil. The more we insist on denying God and defying His instruction, the more confused we get. Just look around at the chaos and lawlessness in the world, and you can see what a mess we make without Him. I am continually amazed at just how blinded the world has become. Yet I am not so arrogant as to think that I have full understanding of God and His mysteries. So much of His wisdom is still hidden from us. But I am thankful for what He has revealed to me thus far, and I pray for continued understanding and wisdom; all under the guidance of His Holy Spirit. And I greatly fear for those who continue to listen to the lies of Satan, as he attempts to destroy God's Truth. If only Abby had pointed out to all involved that a bigger mistake is being made than a slip of the tongue in using a wrong pronoun. 2 Timothy 3:1-2 "But understand this, that in the last days dangerous times [of great stress and trouble] will come [difficult days that will be hard to bear]. For people will be lovers of self [narcissistic, self-focused], lovers of money [impelled by greed], boastful, arrogant, revilers, disobedient to parents, ungrateful, unholy and profane..."
"How else is a person to learn that a mistake was made if it isn't pointed out?" Miss "know-it-all" Jeannie Phillips apparently did not realized how prophetic her last sentence was! This is something that I struggle to wrap my head around. Just because gender reassignment is possible to do doesn't make it right to do and change what God has made. Also the argument that it is who "they identify" with is going to open a very slippery slope for more than JUST whether someone is male or female. It will seep into other areas of identification. For example if I chose to identify as Native American despite the fact I have no Native blood will I then qualify for their benefits, pay from the tribes, and free nursing school? Trust me it IS going to start headed down thiat road and it is frightening. Why can we not be proud of who we are and HOW we were made? I truly feel bad for those that identify with a different gender and have no advise to help deal with what they are going through but by holding their hands and telling them it's ok is not fixing the problem!